Read Mind on Movies review of The Florida Project. The Florida Project is a deeply moving and unforgettably poignant look at childhood. 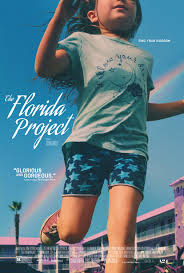 The Florida Project is centered around a mischievous girl named Moonee and her adventures with her friends, all who cannot be older than 6. The children are first seen yelling obscenities at the motel named the Magic Castle where they live in the outskirts of Orlando’s tourist district. For anyone else including a couple who mistakes the motel for a grandeur place because of its name, the motel is a total dump but for Moonee it’s an enchanting place for her to explore. This plays a large role in how the story is viewed. One on hand, Moonee is seen causing chaos from tricking tourists to buy her ice cream to starting fires in abandoned apartments but you see that it is also a part of her reality that is almost so sad that it feels like a fantasy. The adults around her help to keep up this double life. 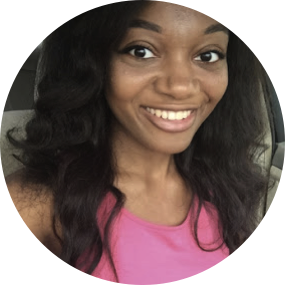 When money becomes an issue her mom Halley tries everything to support her and Moonee. Watching the two sell perfumes to tourists was almost heart wrenching because you know that she cannot keep it up forever. Also the motel’s proprietor Bobby (Willem Dafoe) plays an almost fatherly role to Moonee, trying his best to keep her steered in the right direction as well as Halley who also needs guidance. It was refreshing to see Dafoe play this type of role and as the only familiar face in the film he quickly fades into the story in continuity of it feeling like fantasy meets reality. 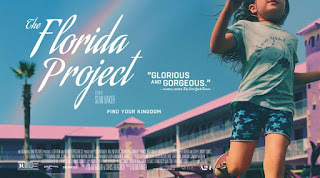 This is also how the title got its name - The Florida Project was the name given to Walt Disney World before it was built to keep it a secret. This secretive nature could given to Moonee’s life because despite her brash personality she is clueless to the bad things going on around her because those who love her want her to keep her innocence. Also because the motel her and her mom live in has become like the dilapidation of the projects. Also worth noting - If you are a central Florida native like me or are familiar with the area you will recognize stores and hotels along US-192 and the popular restaurant Mr. Quick off of Colonial Drive. The Florida Project is a film that feels like watching a documentary instead of a fictional movie. The camera angles and realistic acting quickly pull viewers in and left me in disbelief at the end when the film seemingly takes a turn to ultimate reality but instead leaves you in the film’s preferred place where reality meets fantasy.